Japan Maritime Self-Defence ForceThe 8,200-ton, 170-meter-long destroyers are equipped with the Aegis Baseline J7 combat system. 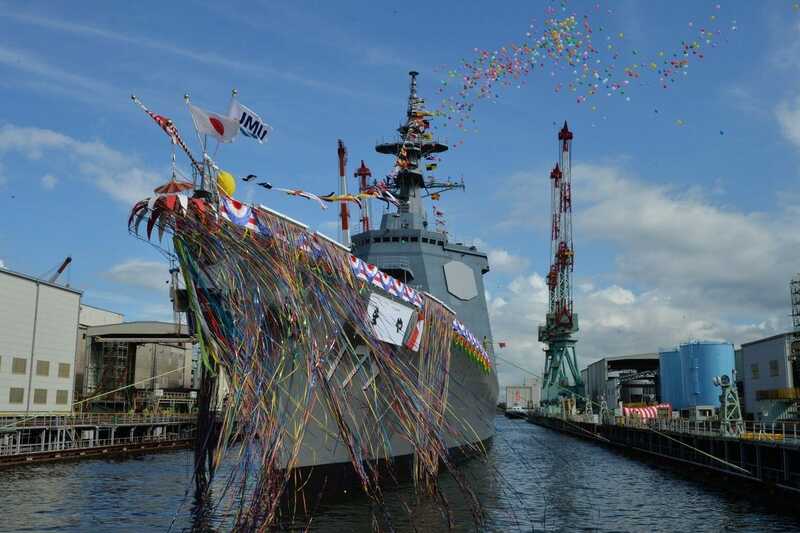 Japan launched a new destroyer with top-of-the-line US missile-defence technology earlier this month. Japan’s military is a self-defence force, and the ship is meant only for training and diplomatic outreach. But China, which wants to seize control of the South China Sea, portrayed it as a menace. Defence cooperation between the US and Japan ushered in an era of peace that enriched the world, including China, but now a powerful China seeks to unseat the US as the world’s superpower, and its response to the destroyer demonstrates that. Japan recently launched a new class of destroyer with top-of-the line US missile-defence technology, and despite Japan’s mostly defensive posture, China portrayed the ship as a dangerous menace. The seven decades since World War II, which concluded with the US dropping two atomic bombs on Japan, have seen the rise of a strong US-Japanese alliance and peace across the Pacific. Japan, following its colonization of much of China during the war, renounced military aggression after surrendering to the US. Since then, Japan hasn’t kept a standing military but maintains what it calls a self-defence force. Japan’s constitution strictly limits defence spending and doesn’t allow the deployment of troops overseas. But threats from North Korea, which several times has fired nuclear-capable missiles over Japan, have prompted a desire in Tokyo for missile defences, which the US has obliged, manifesting itself in part in Japan’s new Maya destroyer class. The new destroyer isn’t a radical departure from Japan’s old ones and will spend most of its time training with and visiting neighbouring militaries. The destroyer isn’t exactly a rubber ducky, but it has one of the more peaceful missions imaginable for a warship. 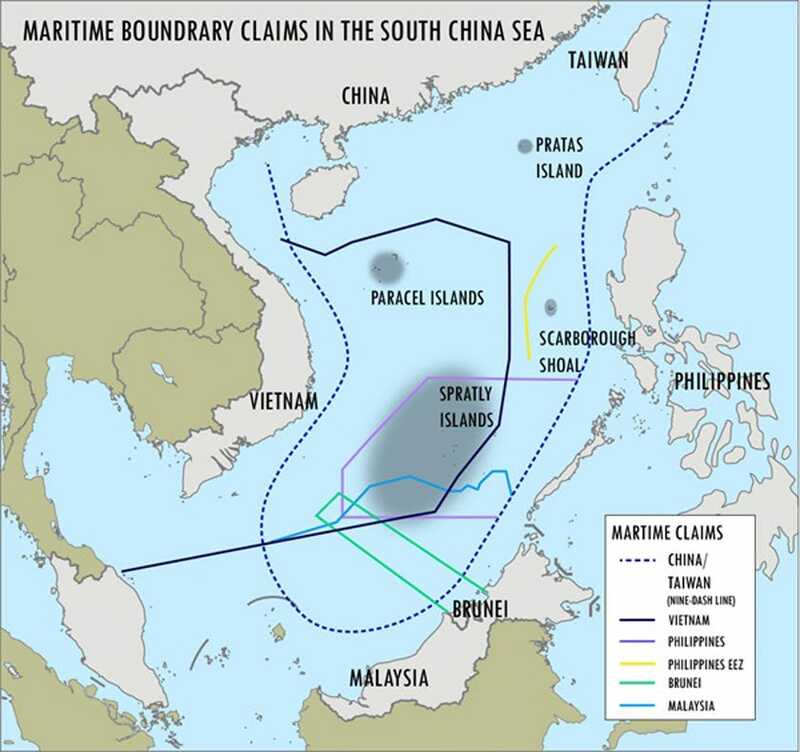 One reason it may have drawn rebuke from Beijing is simple geography. This destroyer will have to pass through the South China Sea, and that is extremely sensitive for Beijing, which unilaterally claims almost the whole sea as its own in open defiance of international law. China’s Global Times state-linked media outlet responded to the ship’s launch by saying it was “potentially targeting China and threatening other countries,” citing Chinese experts. 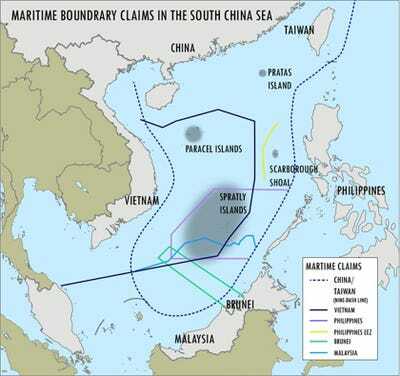 via The Brookings InstitutionChina claims 90% of the South China Sea in defiance of international law. Since World War II, the US, particularly the US Navy, has enforced free and open seas and a rules-based world order. Imposed at a massive cost to the US, this order has enriched the world and specifically China, as safe shipping in open waters came as a given to businesses around the globe. That the only two countries to ever engage in nuclear war can now work together as partners looking to protect the rights of all countries on the high seas might represent a welcome and peaceful development. But for Beijing, which fundamentally seeks to undermine that world order to further its goals of dominating Asia, it’s cause for worry.